After everything that has happened in the last week it's been hard to get back into the swing of things, but I am trying to get back into the habit of updating on time. With that being said, the pumpkin posts will continue! The Kashi boxes on the shelves all had very similar designs, each one is very clean with bold images and some scattered text. 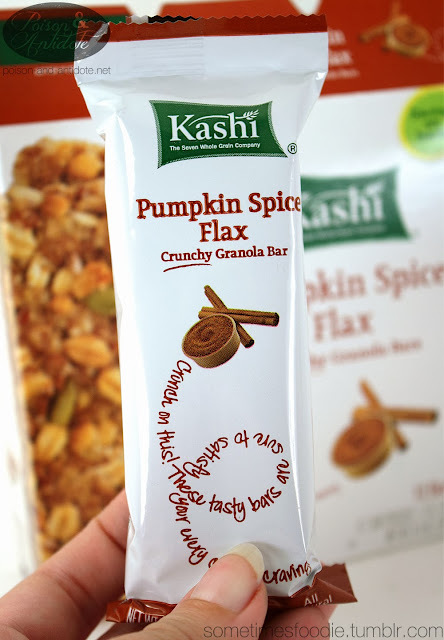 I haven't bought Kashi products before, so I am not sure if this is a standard flavor or a seasonal one, (send me a message if you know) but the packaging blends seamlessly into the rest of the Kashi collection. If this is a seasonal flavor you might miss it, but I think the clean layout reflects Kashi's healthy products. Inside the box are several individually wrapped bars and, although I can't recall how much I paid for this box, I feel like there was a lot of product for the price. Each wrapper has a design that is similar to the one on the box and it contains two thin granola bars. Ohmygosh, these are delicious! I am so sorry I ever doubted you yummy little granola bars! The granola has a really lovely, crunchy, texture that is really satisfying. 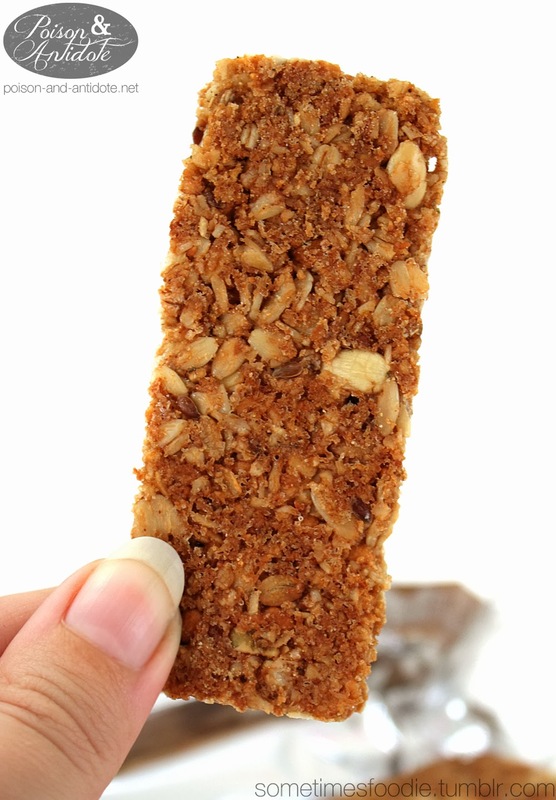 I have had granola bars in the past that were rock hard and crumbled all over you as you ate it. You'd end up with more of it in your shirt than in your mouth. (If you're a lady you know what I'm talking about.) These bars are different. They have a fantastic crispiness to them without being overly hard and making a mess. 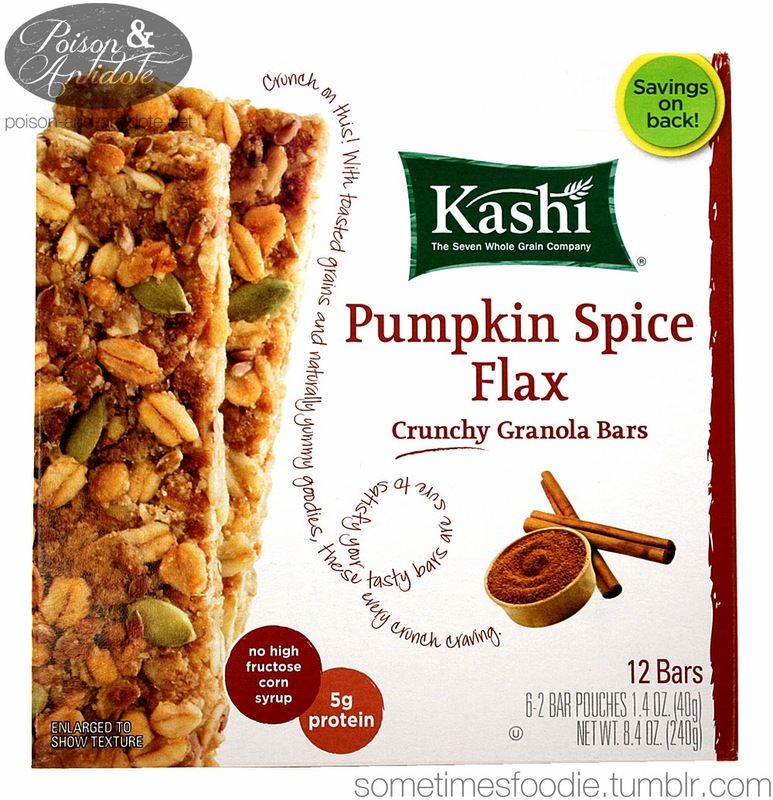 As far as the actual flavoring, I can taste granola, oats, and a deliciously strong dose of the pumpkin pie spices. These are sweet, without being over the top, and these two thin little bars are also really filling. I am tossing a few of these in my purse so I can have a seasonal snack whenever I need one. If you want to check out the nutritional information CLICK HERE, but I am more interested in the overall flavoring. I wanted a yummy, pumpkin spiced, snack and this really delivered. On a Pumpkin Scale of 1-5 (5 being the most pumpkin-y) I'd give this a 3.5, but on overall deliciousness... I would give these a 5!